Jamin was born and raised in Paris, France. As a child she spent six years in a French Waldorf (Rudolf Steiner) School, one year in the French Lycée in Tokyo, Japan, and six years in l’Ecole Active Bilingue Jeannine Manuel, an international bilingual school in Paris. Even as a child she remembers being drawn toward the medical field and the care of women and children. During her time in pre-medical school, she developed an intense interest in midwifery. In fact, in France, midwifery-assisted birth is standard care for all women in public hospitals. After taking a competitive entrance exam, she was accepted into the four- year national midwifery program. Throughout her four years of study, she interned alongside midwives and doctors in bustling Parisian hospitals. After graduating at the top of her class from the Ecole de Sages-Femmes-Jeanne-Sentubéry in June of 1997, she accepted a full-time position in the obstetrics department of the Hôpital Antoine Beclere in Paris. Her experience in busy city hospitals in Paris provided her with many opportunities to work with a wide variety of pregnancies, including delivering twins, breech births and vaginal births after C-Section (VBAC). Jamin also became highly skilled at suturing all degrees of vaginal and perineal tears, resuscitating premature and full-term newborns and providing critical care required for postpartum newborns and mothers. Several years and hundreds of hospital births later, though grateful for the hospital experience, her heart really yearned to assist women with homebirth where many women feel empowered by having a greater sense of control how their child is brought into the world. Jamin moved to Florida in July of 1999, where homebirths by licensed midwives is a common practice – most insurance providers and Medicaid cover homebirth as well as birth center births in Florida. She completed the pre-licensure program and the NARM Board exam to become an LM (licensed midwife) and CPM (Certified Professional Midwife) in the State of Florida. For four years she provided both home and birthing center services at a busy Tampa birth center (Labor of Love). Jamin was able to bring her unique experience and skills to hundreds of women who chose to give birth at home or in a birth center. This time in Florida was a godsend for Jamin as it allowed her to truly experience the real gift that the natural birth process can bring to a woman and her family. She felt honored to witness the true power of a woman’s body and the overwhelming beauty of birth. In April of 2003 she moved to Encinitas, California, where her husband was born and raised. She became a Licensed Midwife through the Medical Board of California. 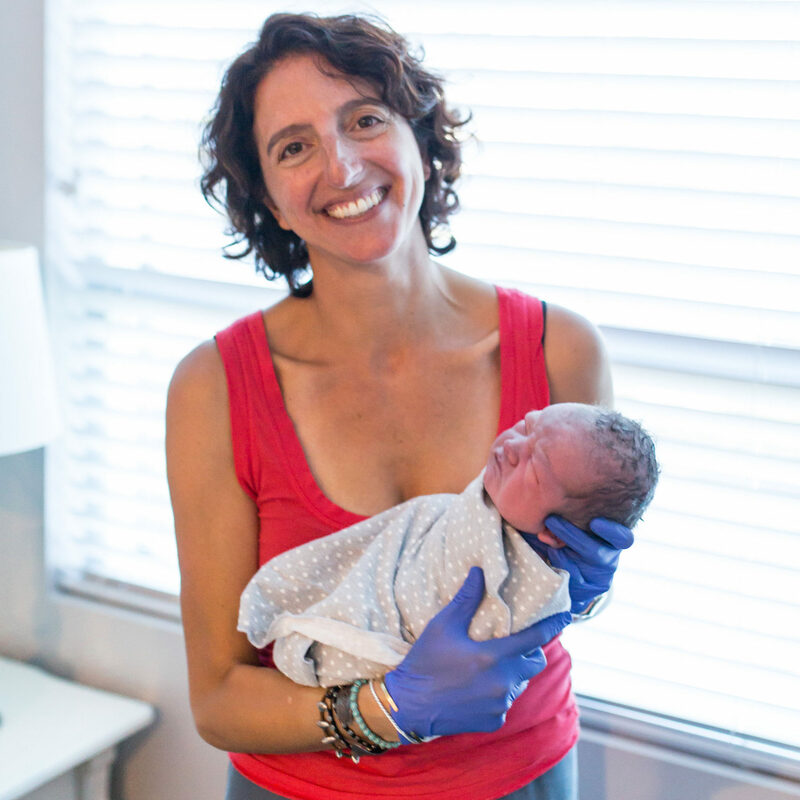 Jamin has been providing both homebirth and doula-monitrice services throughout San Diego County since 2003. For Jamin, the most important gift she feels she has to offer is to help guide women to and through natural birth process, whether it is at a hospital or home. Liam was born at home in Encinitas, California on December 17th, 2003, with the help of Midwife Bonnie Marsh. Layla was born also at home in Encinitas on December 8th, 2011, with the help of La Shel Montgomery. Both experiences were a powerful confirmation of her faith in women and their families and in women’s power to birth naturally.